If you are reinstalling your laptop OS, then here are ASUS ROG Zephyrus S GX531GS-AH76 drivers for Windows 10 64 bit you can download and install to get you notebook work properly. 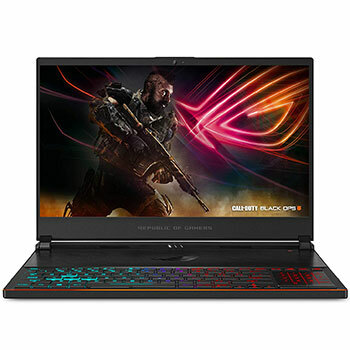 The ASUS ROG Zephyrus S GX531GS-AH76 is 15.6-inches ultra-slim gaming laptop powered by powerful 8th Gen 2.20 GHz Intel Core i7-8750H hexa-core mobile processor with dedicated NVIDIA GeForce GTX 1070 (Max-Q) 8GB GDDR5 VRAM graphics card. It comes with 16 GB DDR4 2666MHz SDRAM memory and 512GB SSD to store you documents.